Spice up any golf outfit with one of our ball marker necklaces. Our golf ball marker necklaces include a variety of ball marker styles complete with magnetic base and choice of necklaces. These beautiful necklaces can be worn on and off the golf course. Add fashion and glitz to any golf outfit you own. 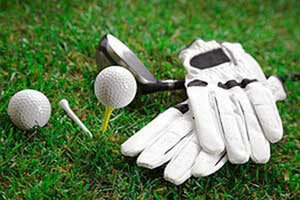 These are also a great golfing gift for a lady golfer or as a ladies golf tournament tee prize. 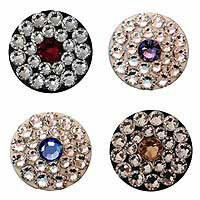 Only genuine Swarovski Crystals are used for our bling ball marker designs. Our golf ball marker necklaces are shipped from the U.S.A. and are available for shipment to Canada and the Contiguous U.S.A. via US Postal system.